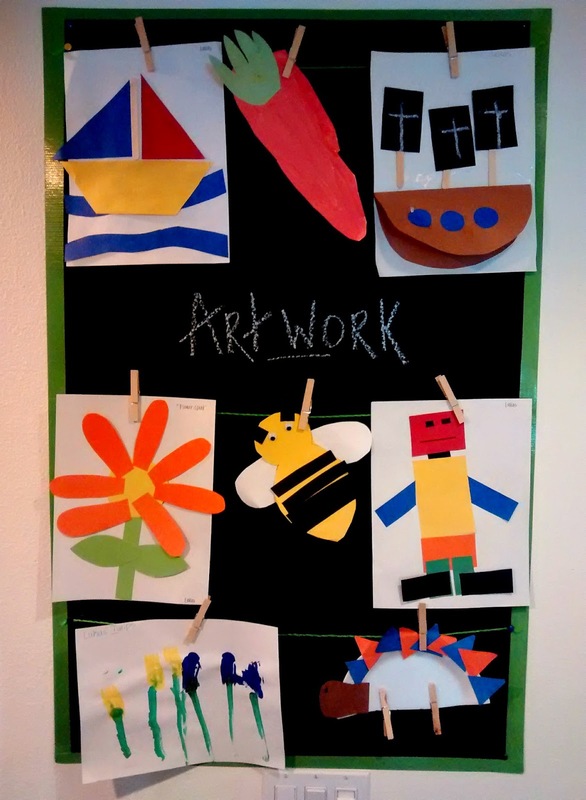 I love displaying my kid's artwork all over my house. 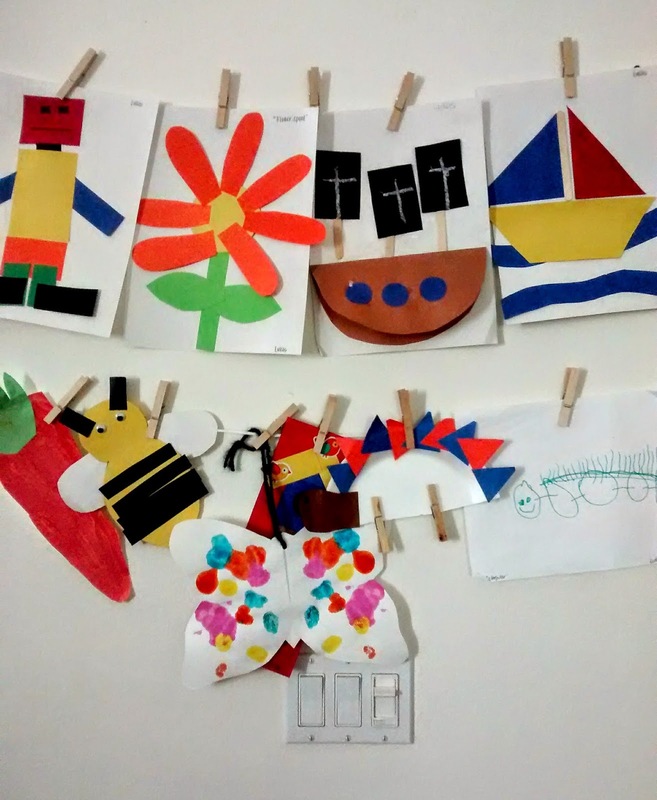 From paintings to slobber on the mirrors, there is no shortage of reminders that my kids are creative and artsy. Since Lukas has been in preschool, there has been an influx of awesome art around the house. My fridge was starting to get a bit crowded so I started hanging his artwork on the wall using clothespins, making a pretty lame art display. To me, it just looked so messy and still crowded. I thought about painting the wall a dark color so the art would pop and stand out more. But then I realized I didn't want to paint ha. I thought about buying a pin board or something similar but knew I could make something better and for way cheaper. Then I had an a-ha moment and ran to the store to get some supplies. Now, Lukas' art looks way better up against the black wall and is not so crowded. I didn't have to paint and the whole thing cost me under $5 to make. 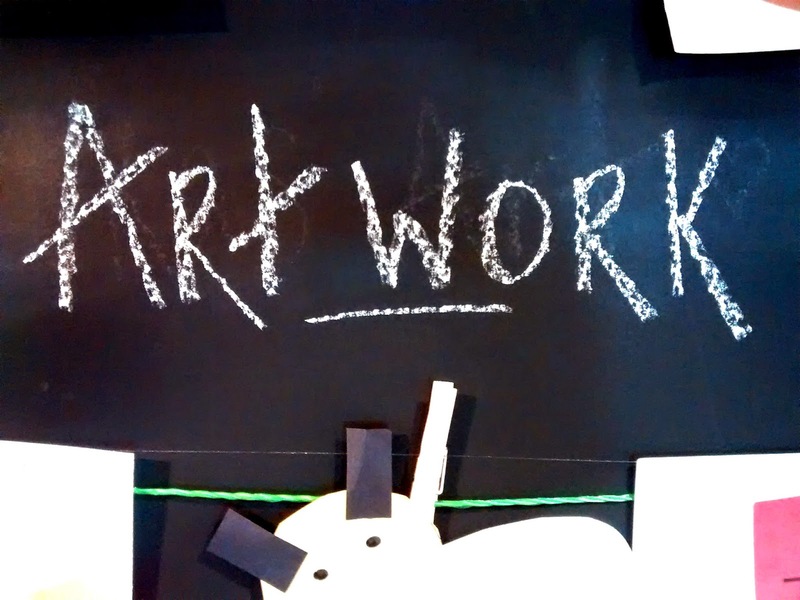 And as a bonus, chalk works just as well on the poster board as it does on a chalk board (who know?? ), allowing me to leave little messages for the kiddoes! 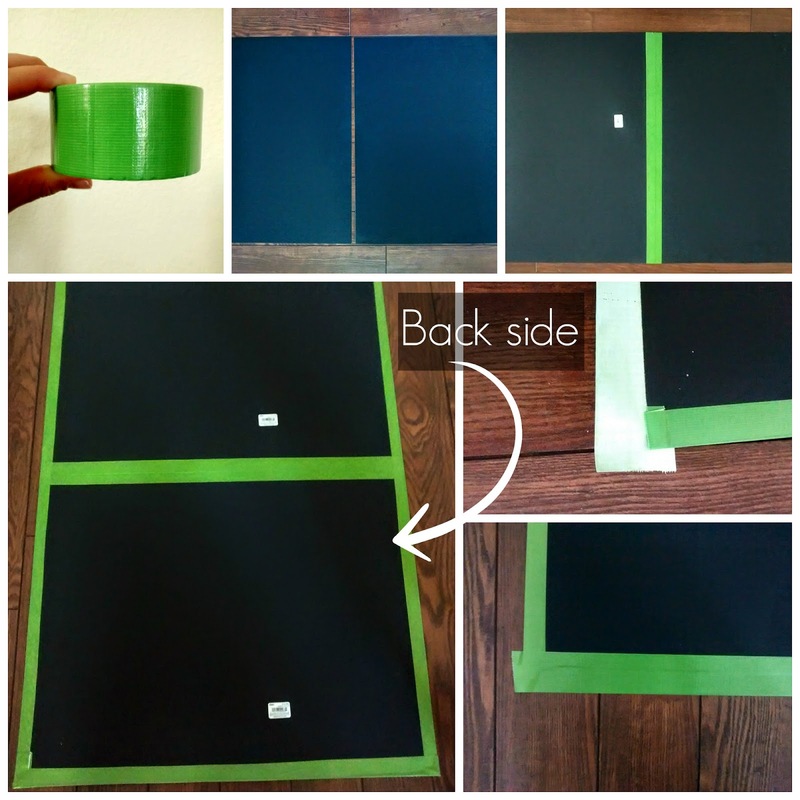 Lay both poster boards on the ground and using the duck tape, tape them together down the middle. Going along the front-outside of the two taped boards, make a boarder using the colored duck tape, folding over to the backside. 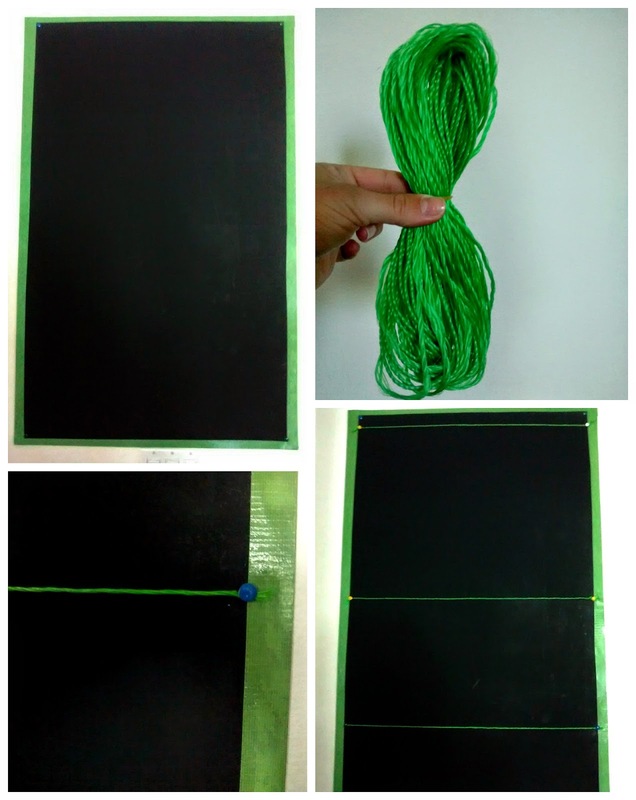 Once boarder is complete, hang the black board on the wall using 4 tacks (one in each corner). Cut 3-4 long pieces of rope to fit horizontally across your board. Tie them off at each end and tack them to the board. Using the clothespins, hang artwork on the ropes. Using colored chalk, write draw and design on your faux chalkboard art display! Wow!!! What a great idea!!!!!! Very crafty and clever! Plus cheap as chips! Totally going to try this one. Thank you! This is such a great idea! I'm embarrassed to say we have artwork taped all over the walls, lol. I will definitely need to try this. 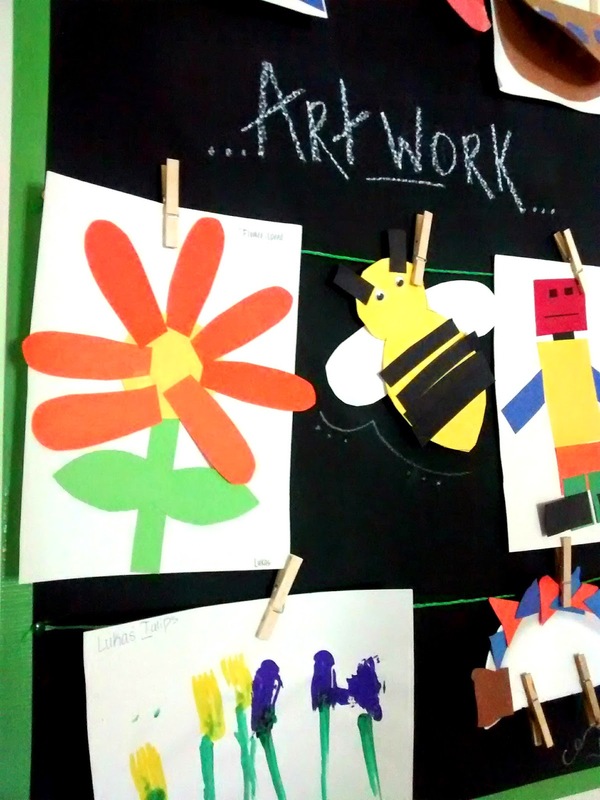 I love displaying my daughter's artwork too! I agree that having too much up looks messy, your solution turned out great! The black background pops! This is adorable! Thank you for sharing with us at #MommyMeetupMondays! Cute, keeping this in mind for when my gets older. Super cute!!! Thanks for sharing! This could be great in a classroom as well! This is great, I end up just sticking my kids' artwork all over the fridge but I like your idea better! What an awesome and creative idea. I love this!! What a creative idea! Love how the artwork pops against the dark color! Love it! I love this! I have the same problem... too much artwork and nowhere to post it. Pinning! I totally did this too! People were prob thinking holy lazy, but I saw genius! Rock on lady! Wow, this would be a great idea for a birthday party. Thanks for posting. Hello from Motivation Monday. WOW! That is such an awesome idea!!!! When my girls were younger we called the kitchen their art gallery as I had ALL of their artwork taped to the walls and cupboard doors! It is such a great ego boost as well as a self-confidence boost for kids to see their hard work displayed! Thanks for joining us for all of the fun at the #BigTopBlogParty again this week! We just love your posts and your gift of creativity as well! Wishing you a fabulous week! 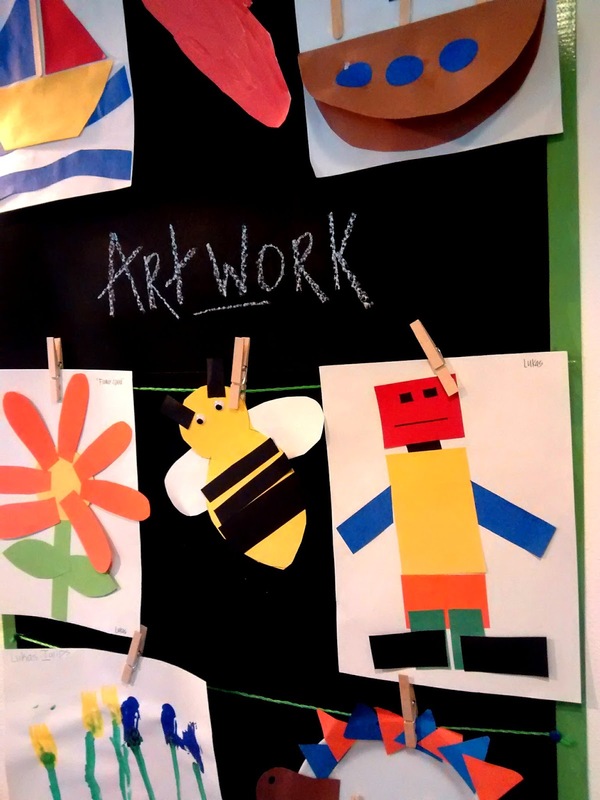 That is a really cute idea, and definitely ties the whole art display together in a more appeal way! Clever! What a great idea! 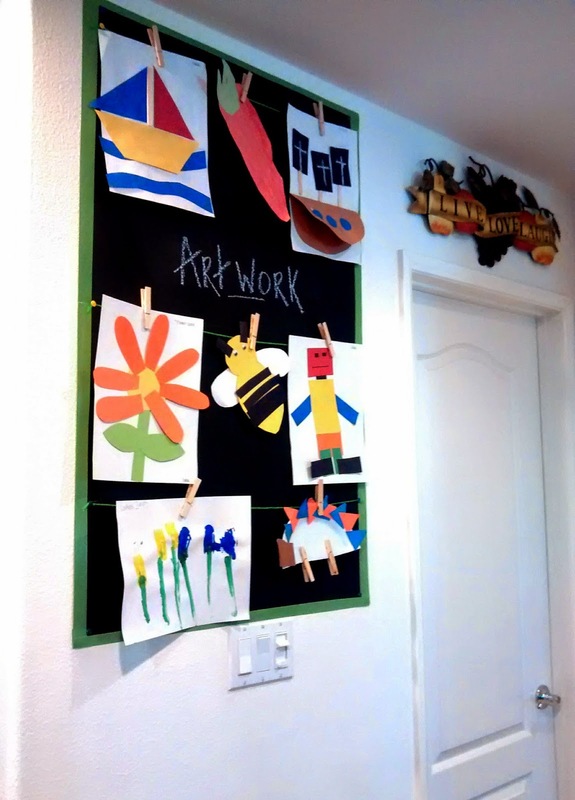 I'm always looking for more places to hang my kids artwork, I need to try this. Thanks for sharing at What'd You Do This Weekend? I hope you will join us again this Monday morning! What a clever idea! So happy you linked up with us at Thursday Favorite Things. What a great idea! We have lots of art to display too! This a great idea! I think I will fiind it a place in my house. Thank you for linking at Bloggers Brags Pinterest Party!